Forensic sources said the Malignant Hyperthermia is the reason the 16-year-old death in the surgery room at a private hospital in Tirana an hour after the midnight of May 15, 2017. 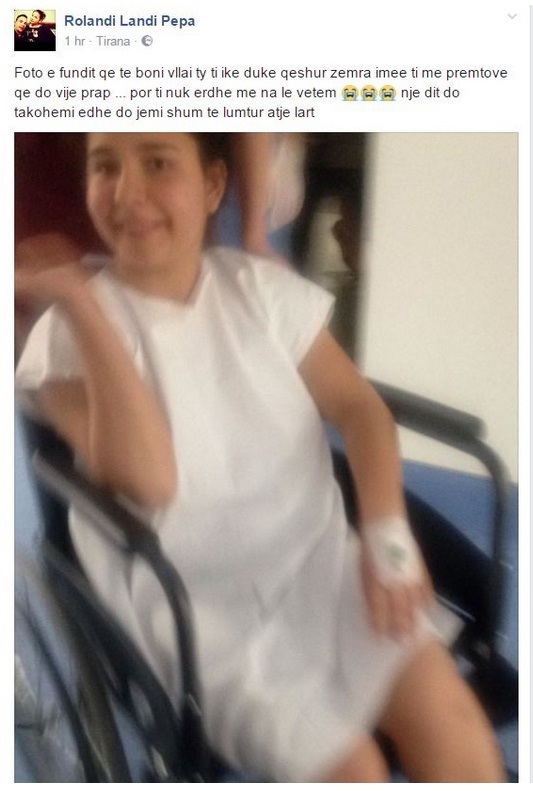 Malignant Hyperthermia is the cause of the death of the 16-year-old Blerta Pepa during a surgical intevention in her knee. These are the first forensic records that said the the white blouses have respected all the medical protocols, but the survival of the girl after this complication was impossible. Two foreign doctors and anesthetists have been prosecuted for negligent medication, while the Health Ministry has set up a working group for this case. Forensic sources say that the Malignant Hyperthermia is the reason that the 16-year-old has died. The case continues to under investigation, but the sources regarding the first autopsy results suggest that in this case the entire medical protocol was respected before and during the intervention, but the complication from the malignant hyperthermia has been severe. Also from the autopsy it turns out that the injection of dantrolene against complications was performed by the anesthetist doctor, but in this case, Blerta Pepa could managed to survive. But the materials have not yet passed to the Tirana Prosecutor's Office. The two doctors and the anesthesiologist Tefik Zhurda are under criminal proceeding. Doctors are accused by Pepa family for careless medication following the death of the16-year-old girl. While the Ministry of Health expresses condolences to the family, saying is following closely the progress of the health condition of the reanimatory physician who is struggling with death in these difficult hours at Trauma University Hospital of Tirana - he attemted suicide by injecting drugs in his body after dhe death of the girl.